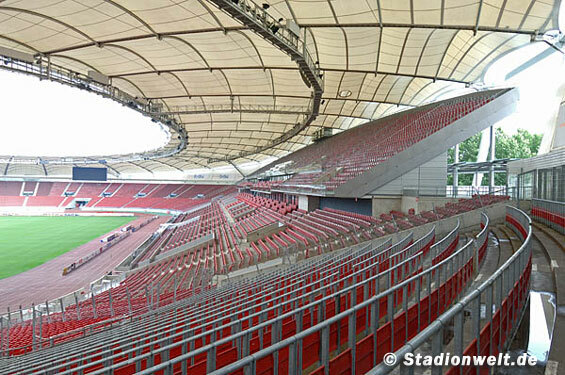 When it was being built back in 1933, its name was to pay tribute to Adolf Hitler. 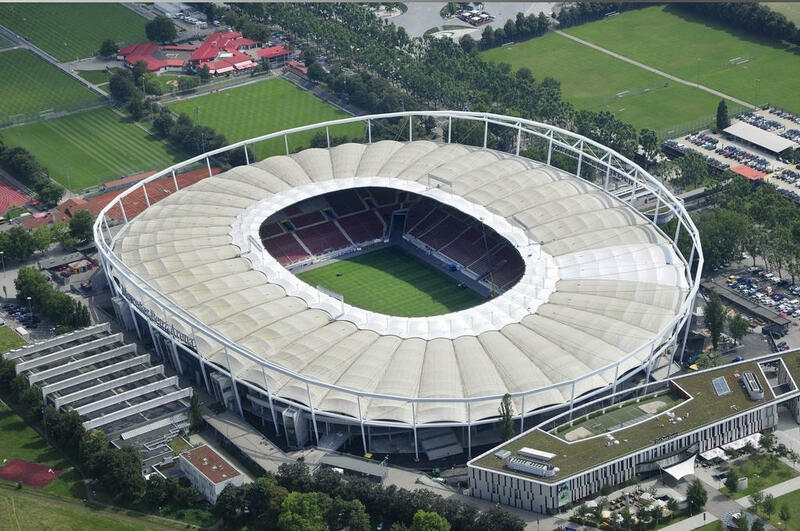 And so it did until 1945, when Americans took over and renamed it Century Stadium. 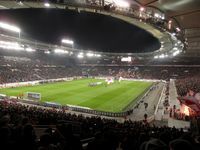 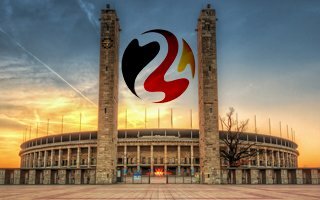 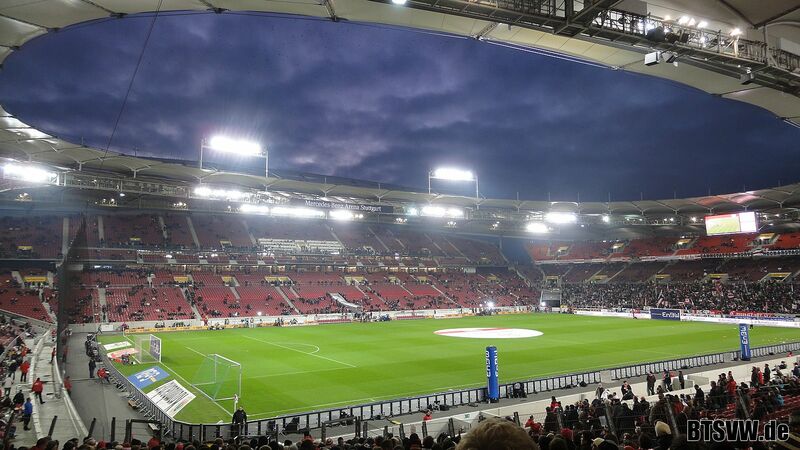 Germany moved back in 1949 and played their first post-WWII game in 1950 with a crowd that to date remains this ground’s attendance record – 103,000 against Switzerland. 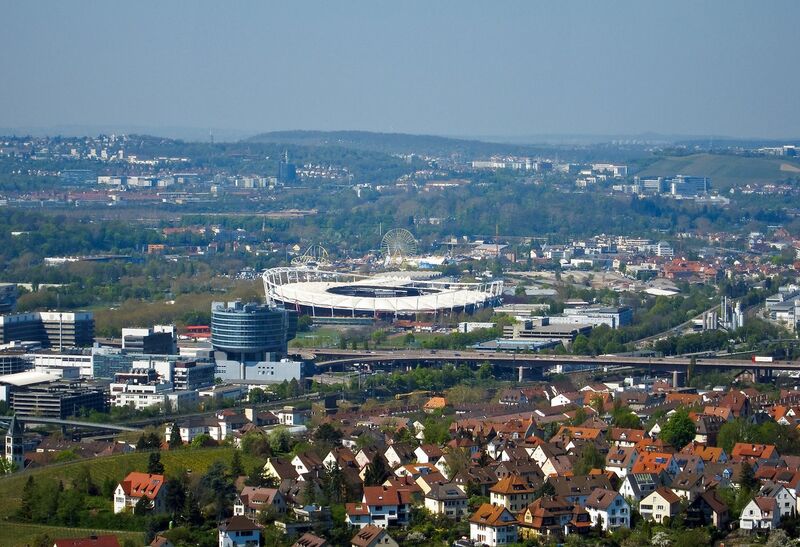 In those days the ground was a huge panful in the ground, partly on artificial slopes. 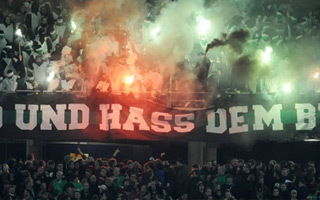 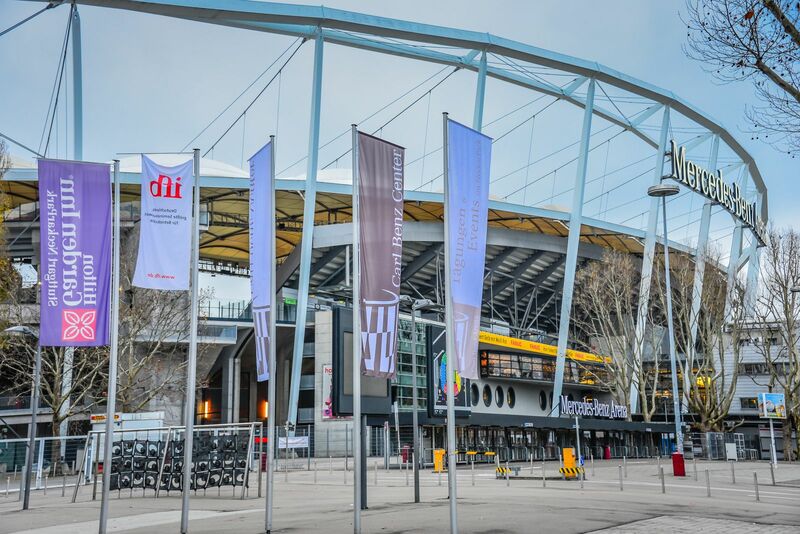 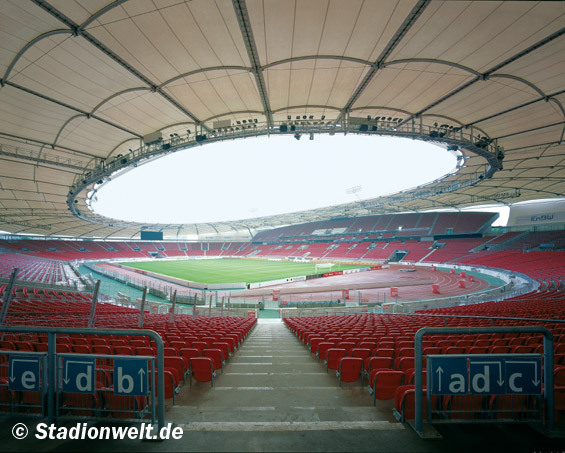 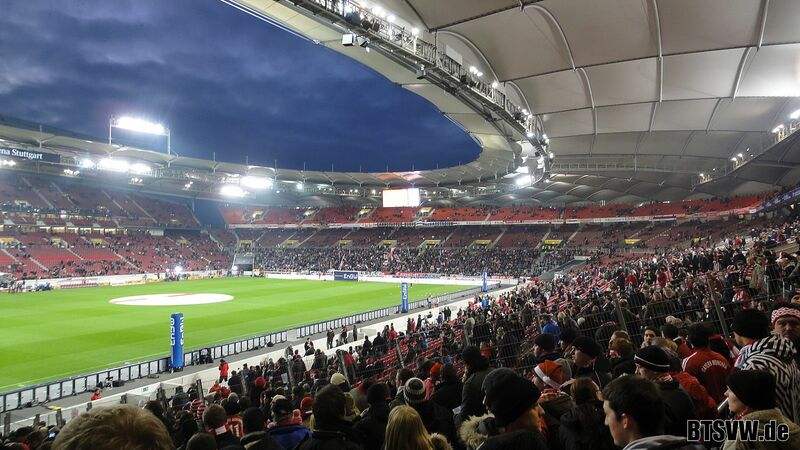 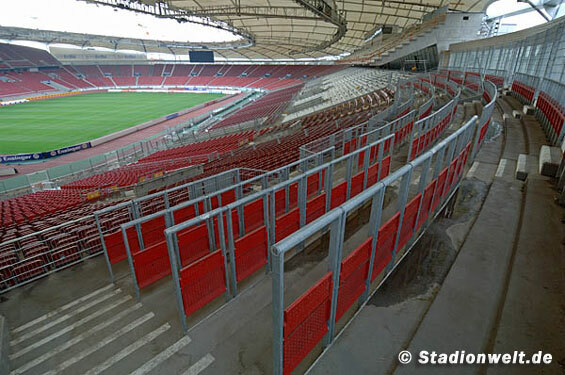 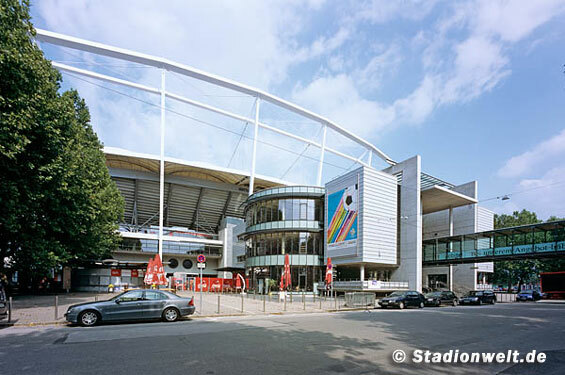 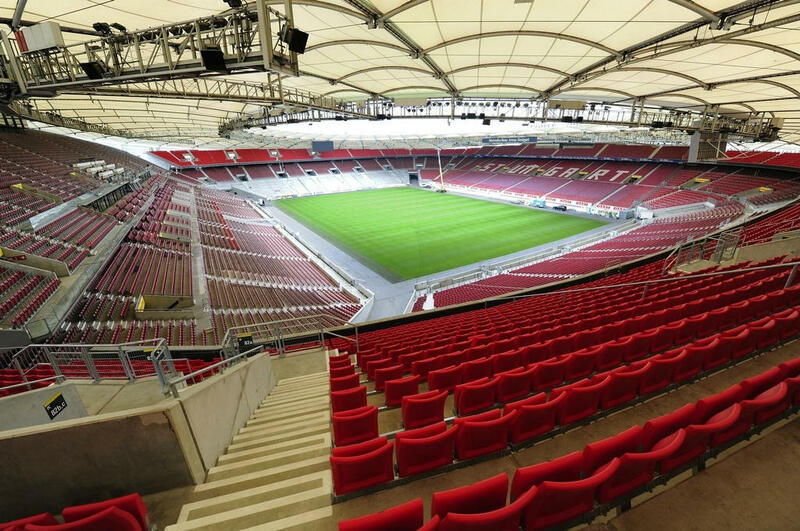 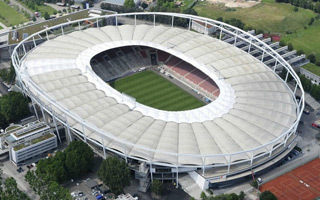 In late 1980’s and early 90’s a major overhaul was carried out with significant support of Gottlieb-Daimler, for which municipality repaid with renaming it from Neckarstadion to Gottlieb-Daimler-Stadion. 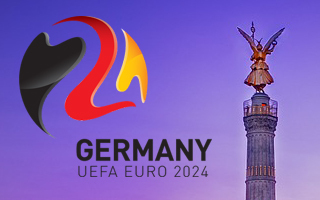 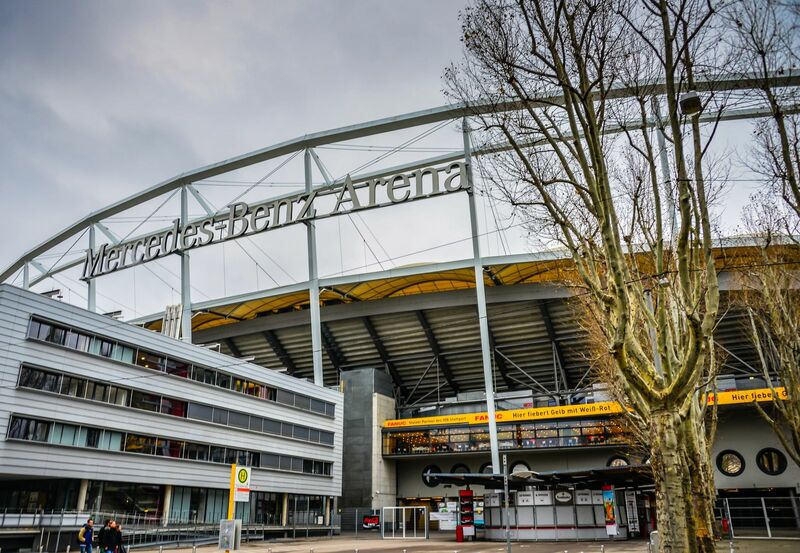 This name lasted until Mercedes-Benz Arena replaced it in 2009, not surprising due to previous participation of the manufacturer and its.. factory and museum close by. 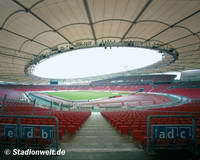 In 1990’s it was still an uncovered venue with athletics track, but already with stands raised largely from concrete. 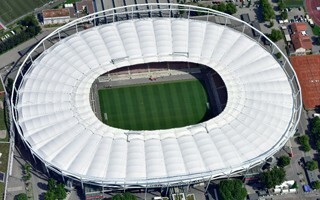 Then came the steel and membrane roof structure (1993) and capacity increase (2005). 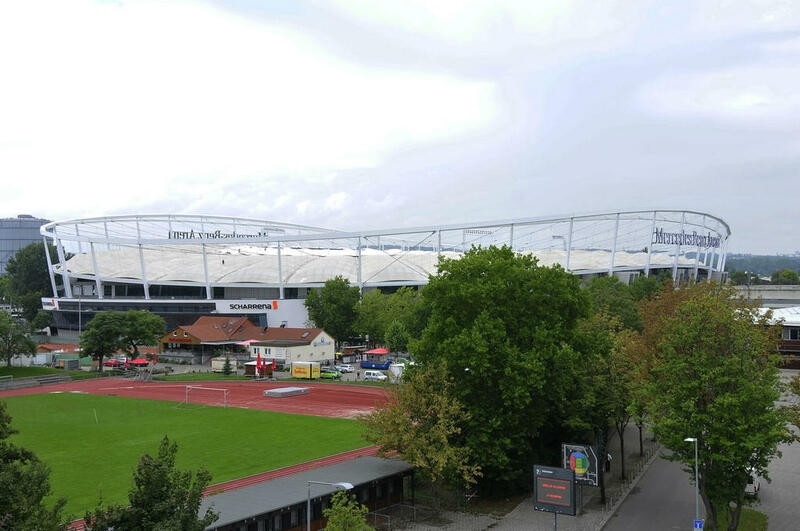 Finally in 2009-2011 the athletics track was removed for the first time in history while stands were built closer to the pitch under the existing roof. 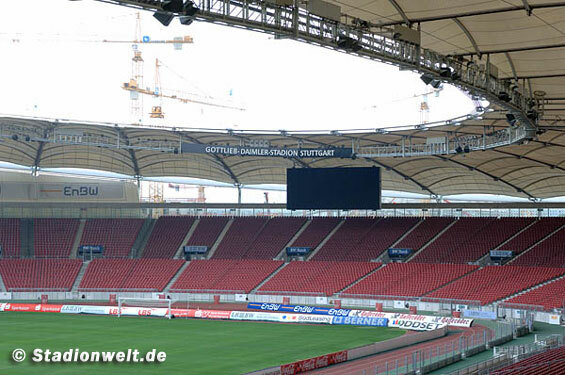 Not without trouble as one of the cranes inside the ground fell onto the structure with the operator thankfully surviving. 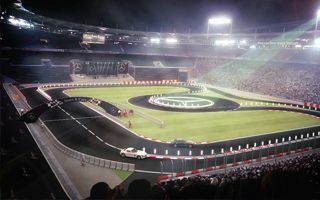 Over the years numerous events of the highest profile took place here. 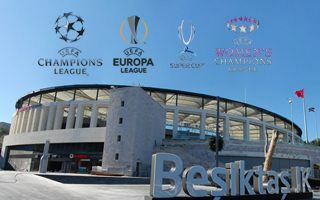 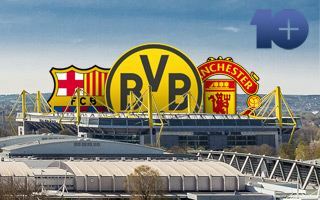 World Cup twice (1974, 2006) Euro once (1988), Champions League final twice (back then European Cup final – 1959, 1988). 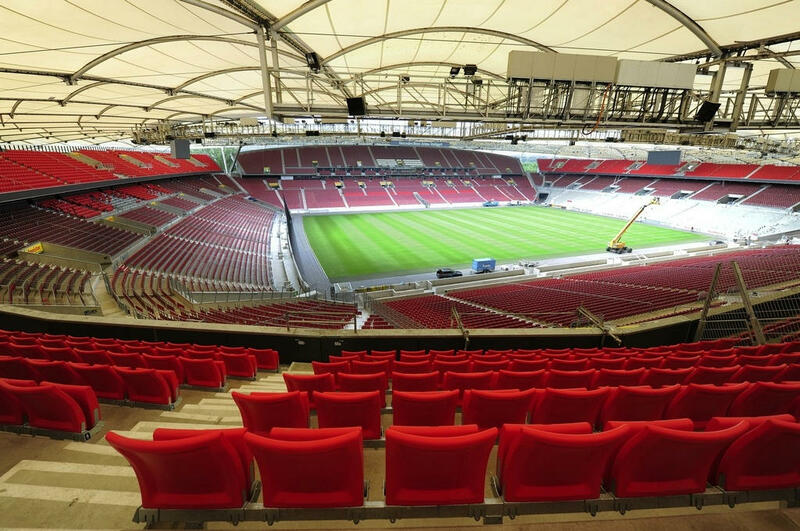 To add to that, large athletics events from 1986 (World Championship), 1993 (European Championship) and 2006-2008 (IAAF World Athletics finals). 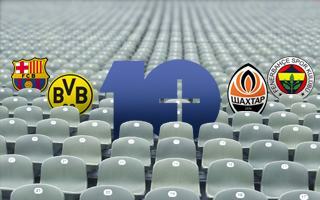 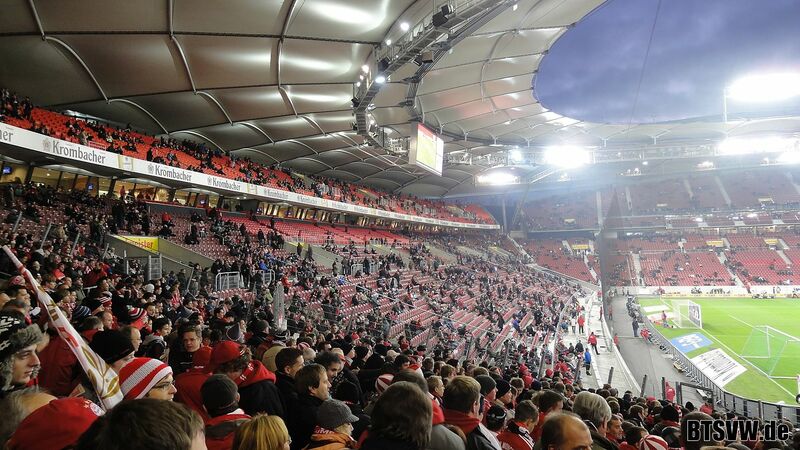 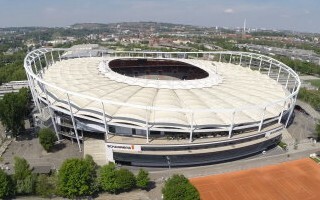 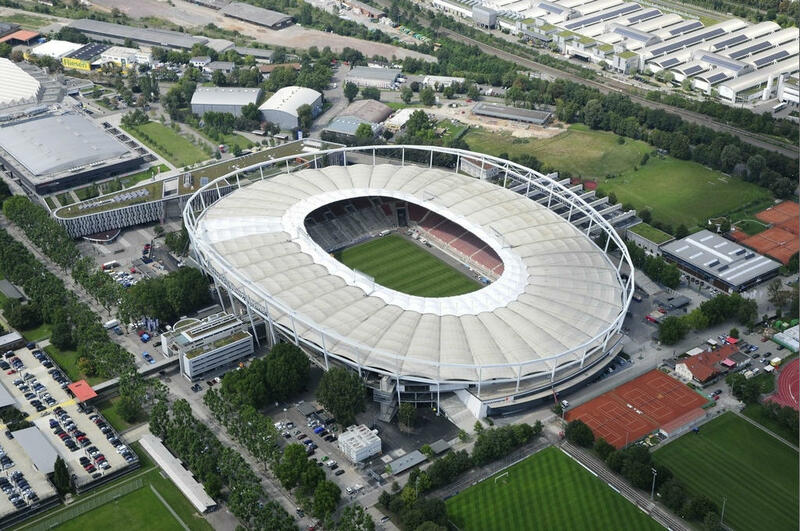 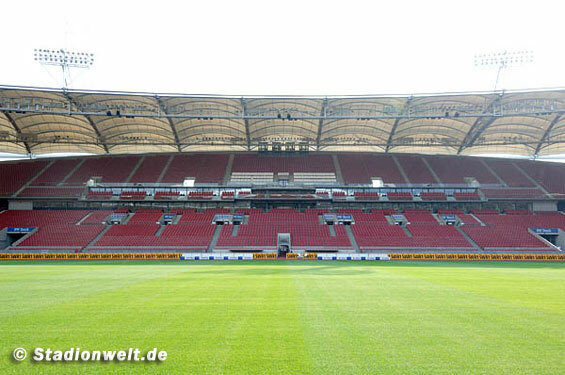 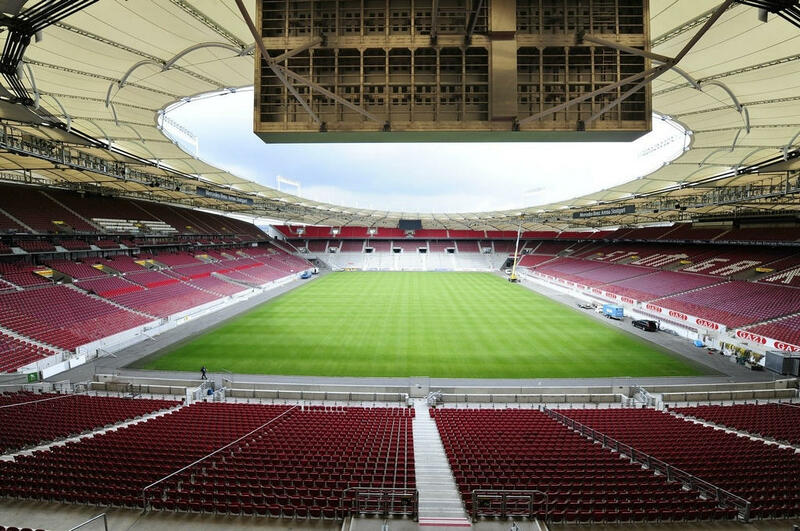 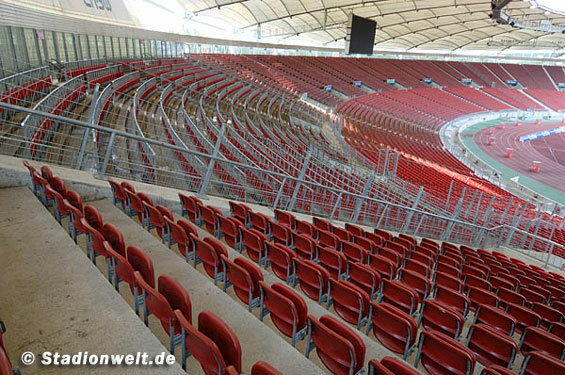 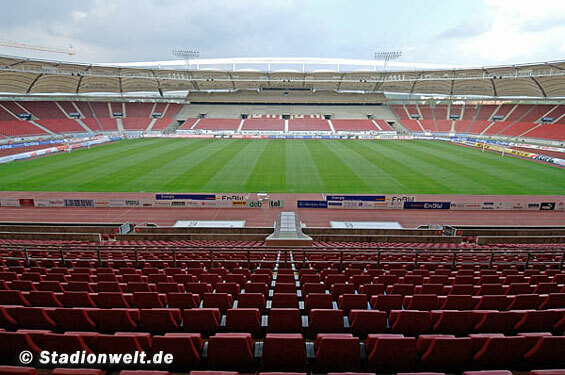 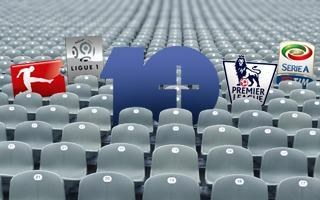 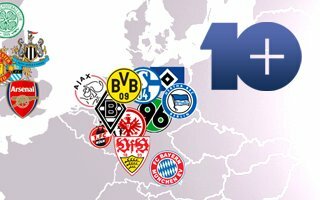 Apart from, of course, VfB Stuttgart games as this club remains major tenant.